After narrowly escaping my first European scam, I was fearful that my apartment search was going to be long and dirty. But it turns out that once again the universe is looking out for me. 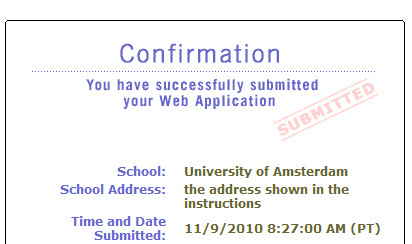 Well, the universe and a kind woman from the University of Amsterdam. As you know, I’m taking my cat with me to Amsterdam. And this has been the primary reason I haven’t considered student housing to be an option. They don’t allow animals to live in dorms – that’s fair. Plus, the idea of living amongst a bunch of younger students and potentially sharing a bathroom with them makes me cringe. So when I received the form to fill out a request for student housing, I was hesitant. I responded to the woman in the admissions and housing office (who incidentally is the same woman who helped me determine my dream apartment was a scam), asking if my cat would make me ineligible for student housing altogether. She responded in a kind, but not so hopeful way. Since the vast majority of student residences don’t allow animals, there would only be a slim chance I would find a place through the standard channels. But since she was familiar with other housing agencies (outside of the University’s primary network), she told me she would speak to some colleagues and see what she could find for me. In the meantime, she told me to fill out the housing form just to cover all of my bases. I filled out the form, which was hosted on the same platform as the U.S. Fulbright application. That has no bearing on the rest of the story. I just thought it was strange that the applications looked so similar. Anyway, the form asked for my preferences in rent and roommates. I said high rent and no roommate, hoping to end up with the classiest room they have in the pot. Pressed submit and knew it wouldn’t lead to anything. Another day or two later my new best friend came back with confirmation that she was able to get me the two-room apartment. She included the address, which was followed by the initials HS. To explain, she added my favorite part of her email: “HS means that your apartment is on the ground floor so your cat has a little garden to play in.” I immediately wrote her back to accept the place. Although I haven’t seen how this place looks on the inside, I imagine it’s pretty basic and not at all resembling my future dream home. What I do know is that it has a bathroom, kitchen, bedroom, and garden. I also know that the rent is cheap and that it’s not a scam. I’ll live there for a semester, which should give me plenty of time to figure out where I’ll live next. I think it’s an ideal scenario. 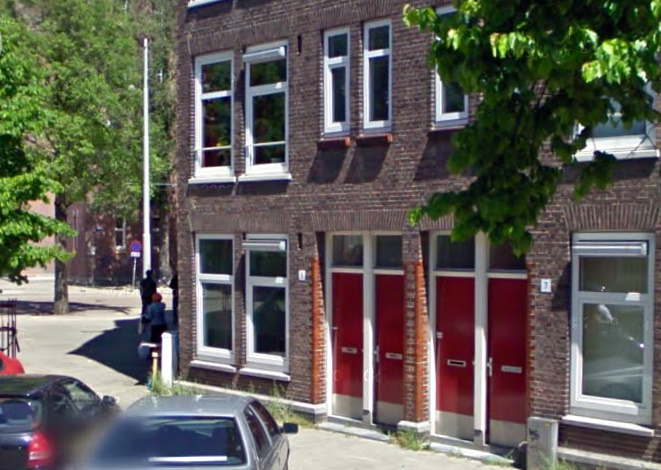 And thanks to modern, Google technology, I am at least able to see the place from the street. It has a red door. That alone makes me very happy. I’ve noticed recently the similarities of forms and different types of portals on the internet —- it’s like everyone is using the same 2 or 3 form builders… monopolizing of the internet I tell ya. Of course I’d be the one to respond to that small point in your blog – ha! Wait, wait, wait. Not 2-bedrooms. 2 ROOMS. I’m assuming one of those will be a bedroom. But I’m not certain. This doesn’t mean you’re not still more than welcome to visit! I love that you are a “woman with standards”. Thank goodness! Seriously, congratulations on the apartment! And so excited for Zora!